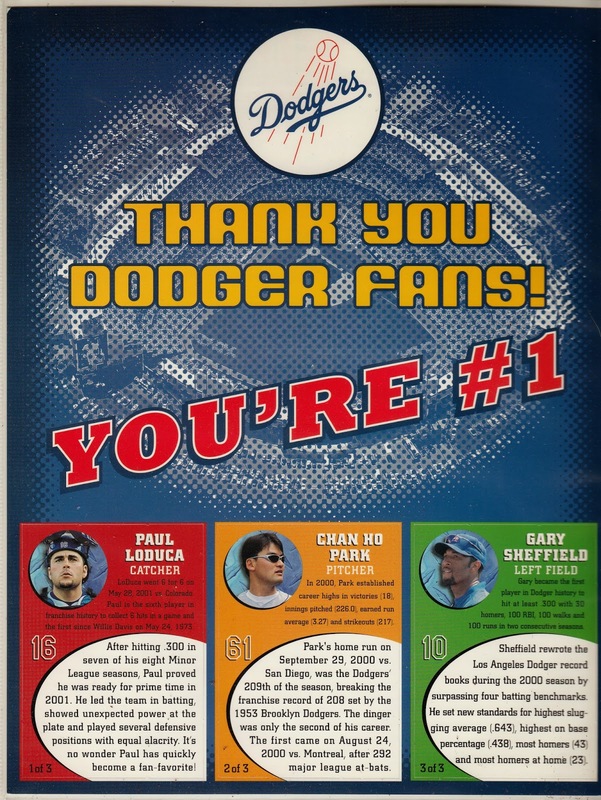 In appreciation of the new Dodgers front office and the myriad number of moves they've made recently (save the Kemp trade that has me miffed, but slowly coming around) check out the above 2001 Dodger Fan Appreciation Baseball card sheet. As you know, these were given out during the last home game of the season on Fan Appreciation Day. Go here to check out all of my past post on this give-away. 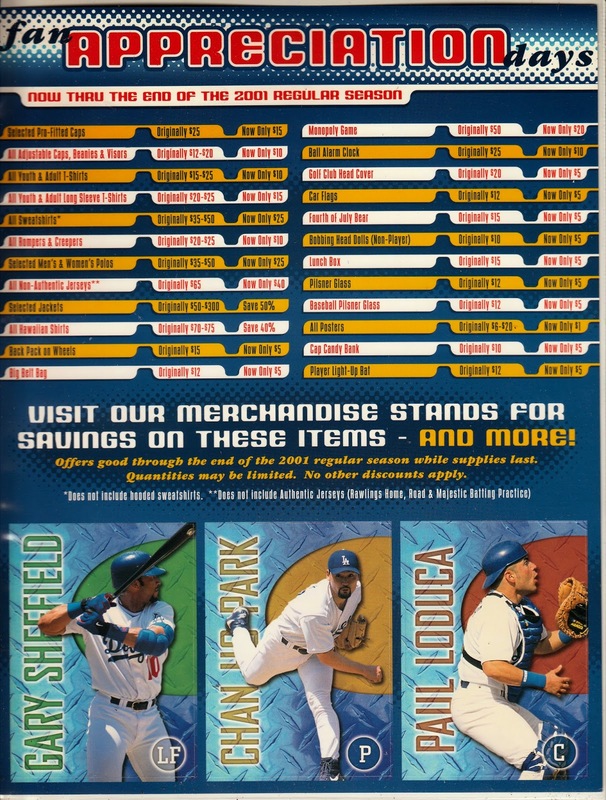 This sheet features perforated cards of Gary Sheffield, Chan Ho Park and Paul LoDuca.